It is one of the most frustrating exercises of the year. Poring over reviews from the past 12 months and trying to recall from the hundreds and hundreds of Niagara wines that were tasted which ones left such an indelible impression that they make this arbitrary “best-of” list. 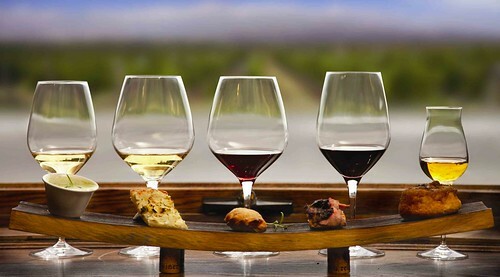 This list begins with 50 or 60 wines that represent the best of the best wines in Niagara, though, admittedly, from one taster’s palate. It is then pared down to 30 wines. 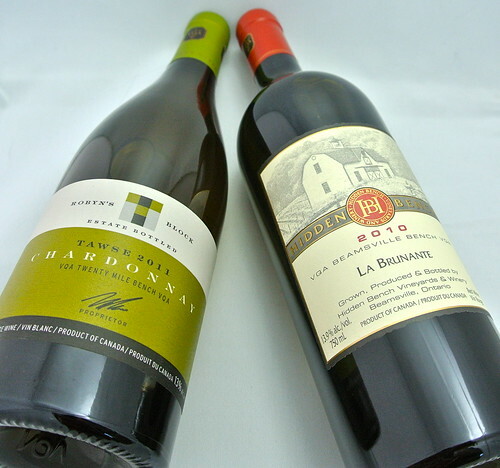 To say they are the best wines that Niagara released in 2013 would be pure fiction. I did not and cannot taste every wine in Niagara. And different wines excite me (perhaps) more than they excite you. I call these wines the most thrilling Top 10 Reds, Top 10 Whites and Top 10 Sparkling and Sweet Wines of the year. They are not necessarily the top scoring wines of the year, but rather the wines that impressed me the most. In a couple of cases, the price was so affordable and the score so disproportionately high that I included it on this list. For example, the 13th Street June’s Vineyard Chardonnay 2012. I just loved the style of this terroir-driven wine, unoaked, pure and fresh, and find myself thinking about where this wine is going to go in the future as the vineyard matures. There is a lot of what Niagara does best, according to conventional wisdom, on the list: Chardonnay, Riesling and Pinot Noir. But also what Niagara can do well in near perfect conditions: Bordeaux blends, Syrah, and a first-time appearance on my Most Thrilling Wines of the Year list for Merlot. On the white side, mixed in with the Riesling and Chardonnay is the unusual Savagnin, Pinot Gris and an outstanding (and unconventional) white blend. I am always amazed that Niagara winemakers can push the envelope and go beyond the traditional varieties that get so much attention. I am thankful that Niagara isn’t a one- or two-trick pony region and that each vintage brings different challenges and surprisingly good vino spread across many styles and grapes. We certainly have diversity here and that’s its strength, as winemakers constantly challenge themselves and adjust to the vintage once it begins to take shape. The wines I have chosen as the most thrilling wines of 2013 should not come as a surprise, at least from a winery perspective. 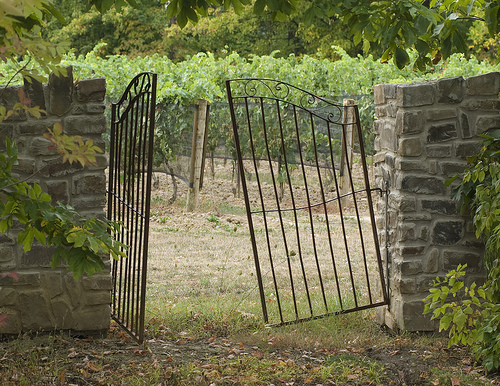 Both Hidden Bench Vineyards and Winery and Tawse Estate Winery make wine at uncompromising levels from vineyards that are meticulously maintained to get the best from any given vintage. Neither cuts corners or releases wine of inferior quality. Ever. And neither is a stranger to this list. So, drum roll, please … my most thrilling red wine of the year is the Hidden Bench La Brunante 2010. This flagship Bordeaux style blend from Hidden Bench is made only in the best years where optimum maturity and flavour development are achieved in the vineyard. This is only the third vintage (the others were 2007 and 2005) of this 33% Merlot, 31% Cabernet Franc, 19% Cabernet Sauvignon and 17% Malbec blend from the estate’s highest performing grapes. Yields were extremely low (less than 1.5 tons per acre on average) and all blocks used in this assemblage were fermented separately in small batches, hand-plunged to gently extract ripe tannins, and then gravity transferred to barrel. Malolactic fermentation occurred spontaneously in barrel via natural bacteria. The wine was blended at the first racking of the six barrels in April 2011, and then returned to the same barrels. After a further 13 months in barrel, the wine was bottled using gravity. This wine has never been pumped, fined or filtered. My most thrilling white wine of the year is the Tawse Estate Robyn’s Block Chardonnay 2011. This flagship Chardonnay from Robyn’s Block, the oldest of the estate Chardonnay plantings, has always impressed me because it is exactly the kind of wine I like to drink. It is packed with flavour without a heavy hand with the oak, a trademark of winemaker Paul Pender, to better reveal the lovely minerality and terroir of the vineyard. 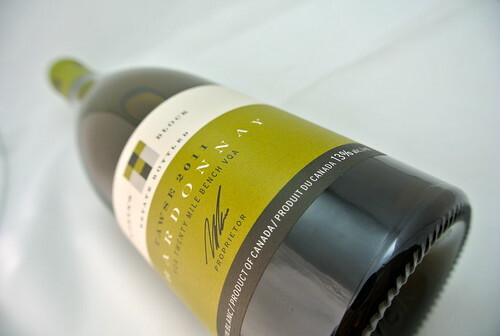 2011 was a very good year in Niagara for Chardonnay with warm, sunny days and cool nights, which resulted in extraordinary flavour development. The Robyn’s Block was fermented and aged in 100% French oak barriques. A year in barrel was followed by six months in stainless steel before bottling. So, here are my Top 10 Most Thrilling Wines of 2013 divided into Red, White and Sparkling/Sweet categories. You may disagree with a lot of my choices and I welcome your input! 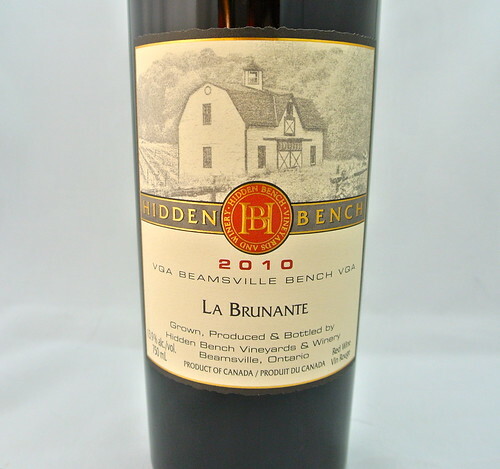 Hidden Bench La Brunante 2010 ($75, 93+ points) — The wine starts with an eruption of red berries on the nose followed by currants, dark plums, blackberries, anise and a mélange of spices and smoky wood notes. It is no doubt powerful on the palate with evident tannins and oak influence but it is equally met with a wave of fruit flavours and bits of licorice, tar, bramble and peppery spices that linger on a long-lasting finish. Such depth of flavour and pleasure that will reward over and over (if cellared properly) for many years to come. If you want a big, rich, powerful Niagara wine in your cellar, I urge you to buy quickly as this is nearly sold out at the winery. 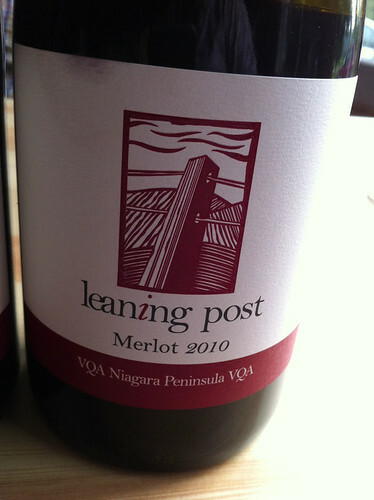 Leaning Post McCleary Vineyard Merlot 2010 ($38, 93 points) — This wine shocked me from the moment it hit my glass. It has such a deep ruby red colour and aromas that won’t quit. Maybe it’s winery owner and winemaker Ilya Senchuk’s experience working with Daniel Lenko and Foreign Affair, but he has built a personable Merlot with super concentrated black cherry, cassis, currants, smoky meat, lavish spices and toasty vanilla that jump from the glass. This spectacular wine spent 25 months in mostly French oak barrels (a little Hungarian) with two of the barrels new, and three of them neutral. It’s thick and rich on the palate with exuberant dark fruits to go with loam, tar, graphite, spices and a nice anise-licorice accent through the long finish. It’s built to last and improve for years as the tannins soften but I wouldn’t turn it down now with a great meal in front of me — especially if there was beef involved! Le Clos Jordanne Le Grand Clos Pinot Noir 2011 ($70, 93 points) — Winemaker Sebastien Jacquey likes to think of his top Pinot as a “Grand Cru” in Niagara. It is made up of the best lots from the Le Clos Jordanne Vineyard, generally from the western edge of the vineyard. The nose shows highly extracted black cherry, juicy raspberry, boysenberry, mocha spice, and wet stone minerality. It is highly structured and needs time to fully show its stuff but still reveals concentrated (without being austere) fruit flavours on the palate, firm tannic structure (from the fruit rather than the oak), dry extract and firm acidity, oak spice and minerals. It’s highly extracted, yes, says Jacquey: “Did I go too far? It’s powerful, maybe,” he says, “but I wanted to find out.” Buy, hold and watch this beauty spread her wings. Chateau des Charmes Equuleus Paul Bosc Estate Vineyard 2010 ($40, 93 points) — I first tasted the components (50% Cabernet Sauvignon, 25% Cabernet Franc and 25% Merlot) for this winery’s flagship red blend in May of 2011. It had all the hallmarks of a beautiful thing way back then. Now that it’s bottled, released, and has a bit of bottle age, its true beauty is beginning to emerge. To rise to Equuleus status (it’s only made in the best vintages), each of the three grape varieties must achieve at least 23.5º Brix at harvest. It’s aged for one year in French Tronçais and Allier oak barrels. The nose shows layers of complex fruit and spice. Think kirsch, cassis, black and red currants, alluring cocoa and lavish spice. It’s dense and rich on the palate and built on a pillar of firm tannins. The smoky wood spices are joined by cassis, blackberry, cherry, earth, bramble and fine dark chocolate that is mouth-coating and caressing. All that goodness still needs time to fully evolve. Wait for it, it will pay big dividends. Stratus Red 2010 ($44, 93 points) — The top red from Stratus, the point at which all other reds at the Niagara-on-the-Lake estate begin, is a classic blend of all five Bordeaux grape varieties with the oak dialed back to15% new barrels. This is a collector’s dream vintage, one in which improvement will come with time in the cellar. Look for a nose of cassis, black currants, leafy tobacco, smoke, leather and integrated spices that open up as you swirl the wine in glass. It is lush and deep on the palate with an array of black fruits propped up by subtle notes of tar, cedar, licorice and a complex array of oak spices and tannins. I love the feel in the mouth and the complexity of all the moving parts. Five Rows Craft Wine Shiraz 2010 ($50, 93 points) — All of winemaker Wes Lowrey’s reds get the same oak treatment; 24 months in French oak, one-third new with the rest in various older barrels. This is about as far away, stylistically, from what we normally associate with Shiraz as you can get. This is pure Syrah, a reflection of the vineyard and what it can deliver under perfect conditions in Niagara. A nose that’s meaty, earthy and smoky with gobs of dark, rich, black fruits, pepper and an array of other spices. And, in the mouth, yes, there are firm tannins, but structural tannins, not overly aggressive to go with blackberries, cassis, currants, cracked peppercorns and all lifted by vibrant acidity. Watch this as it grows up and all those lovely attributes begin singing in harmony. Wow. A Syrah to savour, contemplate and enjoy with each sip. 2027 Cellars Queenston Road Pinot Noir 2011 ($35, 93 points) — Made with wild fermentation, no fining agents or filtration and winemaker Kevin Panagapka’s favourite Tonnellerie Sirugue French oak, 20% of it new. The nose is much deeper and earthier than previous vintages but still the ripe cherry and raspberry rise to the top with beetroot and oak spices mingling in the background. The wine does a turnaround on the palate, guided by a wall of fine oak tannin and earth, and, well, that Pinot funk that slowly reveals the beetroot, the sour cherry, the field raspberry, the anise and darker fruits. It’s altogether a more masculine expression of this fascinating grape that starts with a wink and a promise but delivers a subtext of complexity that will make you work hard for the pleasure within this intellectual offering. Creekside Broken Press Syrah 2010 ($40, 93 points) — The nose is enthralling with graphite, roasted meats, blackberries, currants, cracked peppercorns, oak spice, loam, violets and smoky-savoury notes. It is thick, rich and luxurious on the palate with black fruits mingling brilliantly with Espresso bean, earth, boysenberry, spicy pepper and vanilla. This is no doubt a big wine that will need some time in the cellar, but it will return big dividends if you wait for it. 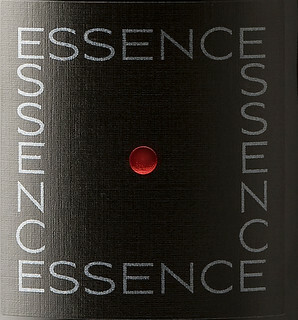 13th Street Essence Syrah 2010 ($50, 92 points) — Wow, a lot going on here in this big bruiser of a Syrah. It’s late picked from an already hot vintage, had a long maceration period, underwent malo and was aged in oak, but none of it new. It’s dark, almost opaque in the glass, with an array of aromas including roasted meats, violets, raspberry compote, cracked peppercorns, swirling spices, and earthy-bramble highlights. It’s dense and full-bodied on the palate with 14% alcohol and, at this point, very young and tight. It’s staring to show its beauty; the roasted meats, the cassis notes, plums and rousing array of spices. It has length, power and a full stack of grippy tannins to hold it all together. Needs time, five to 10 years, to smooth out the rough edges. The reward will be great. Hidden Bench Locust Lane Pinot Noir 2010 ($48, 92 points) — Owner Harald Thiel says Niagara winemakers have learned a lot from the previous hot vintage of 2007. But conventional thinking, he says, is the tendency to over-extract in a hot vintage. Hidden Bench left a fairly robust canopy on the vines through the warm summer months of 2010 to offer some relief from relentless sun and heat. He says “it’s the best Pinot Noir we’ve made.” The wine was made unfined and unfiltered and spent 14 months in French oak, nearly 25% of it new oak. There is a cedary tone to the cherry and raspberry fruit on the nose with pretty violets, bramble, forest floor and spice notes. The palate reveals a mouth of silky tannins, but also bright and ripe cherry, anise, savoury spices, dark plums, a mineral component, gorgeous texture and power through a long, lush finish. Thiel is correct in his observation: “A iron fist in a velvet glove.” Buy, hold and enjoy for many years down the road. Tawse Estate Robyn’s Block Chardonnay 2011 ($46, 94 points) — Robyn’s Block is the oldest (29 years) of the estate’s Chardonnay plantings in the Twenty Mile sub-appellation. With each passing vintage, this certified organic-biodynamic wine just keeps getting better. The nose is focused and finessed with fresh citrus, touches of green apple and quince, wet stone and a floral note that all rises above the subtle oak spices. The crisp and zesty lime-citrus fruit and minerals glide on a razor sharp beam of mouth-watering acidity and light up the palate. This is pure elegance in the mouth, a complex array generous (but never weighty) fruit flavours that are balanced out by a wisp of spice that build in intensity through a long, long finish. This is irresistible now but will continue to give pleasure for five or more years. A brilliant Chardonnay made without a heavy hand in the cellar. 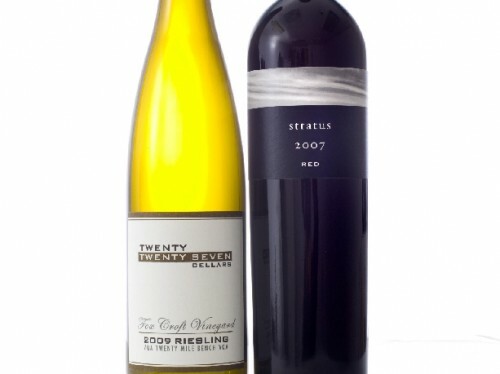 Stratus White 2010 ($44, 92 points) — This is the first time winemaker J.L. Groux decided not to use Gewurztraminer in its top white blend comprised of 32% Semillon, 30% Sauvignon Blanc, 25% Viognier and 13% Chardonnay. A good call, in my opinion, as the aromatics are already rocking with grapefruit, pear, lanolin, cloves, vanilla, apple and exotic tropical fruits. It has layers of complexity on the palate with a fusion of grapefruit-citrus, pear and oak-inspired spices that promise to fully integrate with time. This is an intellectual white that will continue to evolve in the bottle for five or more years. Such a unique white blend that has few peers in Ontario. 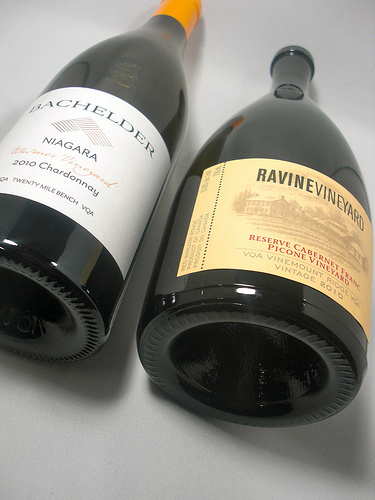 Bachelder Wismer Vineyard Winfield Block Chardonnay 2011 Niagara ($45, 92 points) — The Wismer Chard from Thomas Bachelder was a blockbuster in 2010 and the 2011 isn’t far off that form. It’s quite tight at the moment but still reveals poached pear, spice, nougat, hazelnut, toast and flinty minerality with just a pinch of citrus zest in the background. It’s complex and juicy yet maintains a graceful feel in the mouth while exposing an array of fruit, spice and minerality. Just wait for this to open up a bit more. Gorgeous. Vineland Estate Falsetto Riesling 2009 ($30, 93 points) — Best described as “the tweener” in a first-release trio of wines from the famed St. Urban Vineyard, this eastern block Riesling grown in loamy soil has a wonderful and expressive nose of grapefruit, tropical fruits, summer apples and drenched in minerality. The lush fruit on the palate is harmonious and rides a firm beam of acidity with a supporting note of ginger spice. Such a long and gorgeous finish. Vineland’s winemaker Brian Schmidt is a master Riesling maker. Even his Vineland Estate Semi-Dry Riesling 2012 ($14, 90 points) can be exciting with its nose of lemon and apple with peach accents. It’s ripe and fruity and perfectly balanced between sweet and dry with plenty of crisp acidity. A perfect example of classic Niagara Riesling. 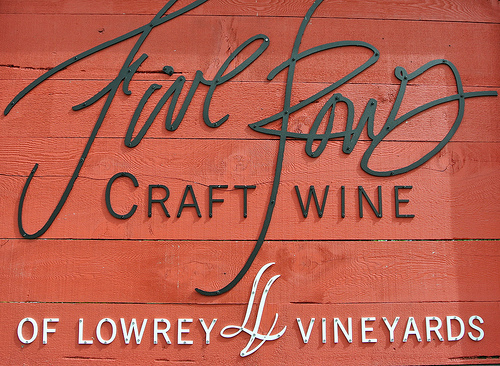 Five Rows Craft Wine Pinot Gris 2012 ($25, 92 points) — Now this is something, a serious Gris that’s not afraid to let its freak flag fly. 70% of the fruit is barrel fermented and barrel aged in old, neutral oak barrels for six months. There is some skin contact and you can see it in the light salmon colouring and you can feel the subtle tannins on the palate. The nose shows ripe McIntosh apple, melon, poached pear and spices that swirl around the edges yet never overpowers the fruit. It has some weight and viscosity on the palate, some tannic structure, but it is the fruit, laden with apple and pear, that shines in the mouth with bits of spice and honey all balanced out by a firm beam of acidity. Alsace comes to mind here, those viscous, bold Crus that age so gracefully. Fielding Estate Lot 17 Riesling 2012 ($26, 92 points) — You would never know that this wine is finished with 30 g/l of residual sugar because of the balancing acidity. The nose is expressive with fresh cut apple, lime, grapefruit and a subtext of minerality beginning to emerge. It’s very ripe and rich on the palate with a full-fruit attack mingling with stony minerality, a touch of petrol emerging, wild honey and racy acidity. Gorgeous. The estate fruit is from a single block of the oldest vines and hand picked. Le Clos Jordanne Claystone Terrace Chardonnay 2011 ($40, 92 points) — Claystone Terrace is contiguous with the top Le Clos Jordanne Vineyard yet turns out wines that are profoundly different. The clay and limestone soils of Claystone help shape the wines that are the most distinct, in my opinion, of the Le Clos portfolio both in the Chards and Pinot Noirs. For 2011, only 10-15% new oak was used for aging with no fining at all. The nose is already rockin’ with McIntosh apple, lemon tart, apricot, soft spice and subtle toast and vanilla. It is a substantive Chardonnay on the palate with weight and power but not at the expense of poise and elegance. The apple-pear fruit melds gorgeously with tropical notes and citrus zest through a lively finish that combines a delicious core of oak and vanilla toast with stony minerality. It is a beautifully integrated wine already with room to improve further with some bottle age. 13th Street June’s Vineyard Chardonnay 2012 ($22, 91 points) — I am going to load up on this wonderful and pure expression of Niagara Chardonnay. The nose shows fresh green apple, pear and citrus with flinty minerality swirling around. What you taste is “the soil, the grapes and the kick of a substantial vintage,” says Peter Bodnar Rod. Indeed, it is pure and fresh with a creamy note on the mid-palate all lifted by generous acidity. The fruit is front and centre but has the full support of the vineyard’s limestone minerality. Gorgeous. Megalomaniac Eccentric Savagnin 2011 ($25, 90 points) — Savagnin is best known in the production of “Vin Jaune” wines in the Jura region of France and Mega owner John Howard even uses a similar bottle to those quirky wines. I adore this wine for its unique flavours. The nose displays grapefruit-lemon, creamy peach and pineapple and subtle smoke and toasted almonds. It’s quite delicious on the palate with ripe orchard fruits, a creamy texture and interesting jasmine, marzipan and nougat flavours all adding to the complexity of this white wine. Eccentric is the perfect name for this Savagnin. 2027 Cellars Wismer Vineyard Fox Croft Block Chardonnay 2011 ($30, 92 points) — All 2027 Chards are made with no filtration or fining, 100% malo and wild fermentation. The Fox Croft is aged in 25% new French (Cadus) oak with the rest in 1-, 2- and 3-year-old barrels. Such a rich and well-defined Chardonnay with gorgeous citrus, pear, apple, roasted almond, vanilla and spice notes on the nose. It is best described as voluptuous in the mouth, with caressing notes of poached pear, creamy vanilla and butterscotch that hold up to the rest of the integrated fruits and spices. This is a polished wine with enough acid to give it just the right amount of finesse through the finish. 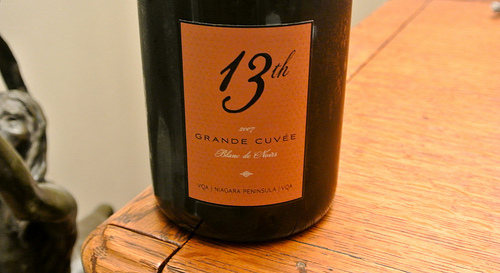 13th Street Grand Cuvée Blanc de Noir 2007 ($59, 93 points) — A gorgeous and generous nose of lemon and brioche, green apple and fresh baked bread with creamy vanilla and toast accents. It’s built in an austere style with chiselled acidity and a fine mousse that tickles the palate and gives way to fresh apple and lemon flavours. Tertiary notes of warm toast, custard and tangy minerality add to the complexity of this well-built sparkler. Drinking rather well right now but can cellar a wee bit longer to draw out further nuances. 13th Street Premier Cuvee Brut 2008 ($35, 90 points) — A blend of 55% Pinot Noir and 45% Chardonnay made in the traditional method. It possesses a lovely bready-yeasty nose with citrus, creamy pear and vanilla toast notes. It hits the palate in waves of racy acidity, bubbles, citrus, baked apple and biscotti. The finish is finessed and long lasting. Another argument why this winery is one of the finest in the region for making sparkling wines. Inniskillin Cabernet Franc Sparkling Icewine 2012, Niagara ($120 for 375 ml, 94 points) — Wow. Just wow. 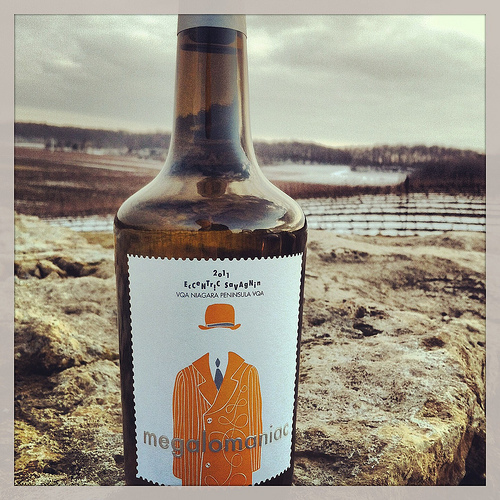 This is such a beautiful and unique wine that will be worth the trek to Niagara’s Inniskillin or online to get it. This is an extremely rare style of icewine that is expensive because it’s so difficult to make. The nose is explosive with raspberry, cherry, strawberry and rhubarb that jump from the glass. It is highly concentrated on the palate with an electrifying jolt of sparkling bubbles and finesse on the palate to go with super-concentrated, super-sweet red fruits and balancing acidity. This is a decadent and splashy style of icewine to be enjoyed by a roaring fire with a little bit of dark chocolate or even paired with cocoa-dusted duck breast. It’s finished with 9% alcohol. Inniskillin Cabernet Franc Icewine 2012 ($100 for 375 ml, winery, 93 points) — This is essentially the same wine as above but without the sparkle. It shows super-concentrated red fruits, kirsch, fruitcake and sweet notes of honey on the nose. It’s pure and honey-sweet on the palate with vivid notes of raspberry jam, strawberry-cherry compote and balancing acidity that all leads to a long, luxurious finish. Pillitteri Kerner Icewine 2011 ($30 for 200 ml, 91 points) — Only two acres of this rare grape are planted in Ontario and this is the only Kerner icewine that I know of in Canada outside of Tinhorn Creek in the Okanagan Valley. The nose shows bright apricot, mango, honey, tropical fruit and just a hint of banana. Wonderful and sweet tropical fruits in the mouth with apricot-peach compote and honeycomb goodness. Reif Estate Vidal Icewine 2011 ($47 for 375 ml, 93 points) — Textbook Vidal icewine with mango, peach, apricot, buckwheat honeycomb, cream and exotic spice aromas on the nose. The luxurious sweet fruits are broad and textured on the palate with a nice creamy and lush feel through the finish. Beautiful peach, apricot and tropical fruits with just a touch of candied orange rind lead to a super-long finish. Beautiful icewine. Peller Estates Ice Cuvee Rose ($35, 93 points) – This is such a magical wine with strawberry, citrus, watermelon, raspberry, spice, honey and toast on the nose. Simply delicious in the mouth with a sweet, vigorous bead of bubbles, lush red fruits of raspberry and strawberry and just a kiss of sweetness to balance out the acidity. It’s made with a small dosage of Cabernet Franc and Vidal icewine. Stratus Icewine Red 2011 ($40 for 200 ml, 91 points) — This fits perfectly into the art of the blend employed by winemaker J-L Groux. It’s a stylish blend of Cabernet Franc, Cabernet Sauvignon, Mourvedre and Syrah (I’m not kidding here). Such a gorgeous and unique nose of maraschino cherry, blueberry, raspberry jam, herbs, and subtle spices that weave through the profile. It shows gorgeous honey sweetness on the palate, nicely balanced by the acid, and an array of red and dark fruits touched by herbs and spices. Tawse Cabernet Sauvignon Icewine 2011 ($35 for 200 ml, 93 points) — An invigorating nose of strawberry compote, cherry-raspberry accents and touches of jammy black fruits that are persistent and inviting. It explodes on the palate with supersweet and thick red fruits balanced by racy acidity all delivered on a long, clean finish. A nice subtle nutty taste is just starting to emerge. Hold some for the cellar, if you can. Vineland Estate Cabernet Sauvignon Icewine 2011 ($42 for 375 ml, 92 points) — This icewine achieved an amazing 234 g/l of residual sugar. The aromas are thick and rich with jammy raspberry, black cherry, currants and just a whiff of blueberry chiming in. 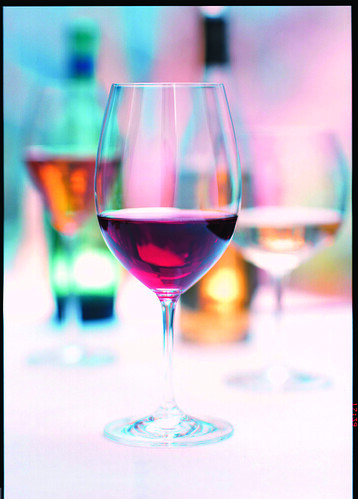 It’s viscous and rich on the palate with bold and rich red fruits that coat the mouth. It has decent acidity that provides balance on the finish. Altogether, a highly extracted, sweet icewine that deserves some love in the cellar.